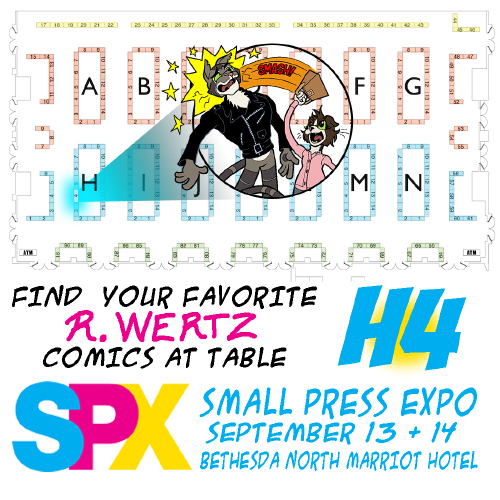 Kitty's Cats » SPX 2014 – Handy Map! I will be at table H4 at SPX this year. Stop by, if you please! Thanks to my friend Jared Axelrod for the handy map graphic, and hosting me at his table!